Informatics concerns the use of information, and addresses research questions about how information is generated, processed and used, irrespective of the domain or application area. Applied Informatics is the study of Information & Communication Technology (ICT) and its uses, with emphasis on its application to real-world problems. The topics for the conference focus on applications for assisting industry and organisations to understand, and ultimately leverage, the data that they capture and store. AITIC 2016 features international research in informatics and related areas, with a focus on practical applications and innovations that can be exploited for the benefit of business solutions. The Applied Informatics Research (AIR) Group is organising this conference to provide an opportunity to meet with other researchers in the areas, and to share recent results in research in this field. The conference will be interdisciplinary in nature, and we encourage submissions from both academics and practitioners. Prospective authors please see 'Author Instructions' on the menu bar for submission details. All accepted papers will be published in an edited volume by Springer and included in Scopus as well as other major databases. If you would like to organise a special session or workshop on a more focused topic, please get in touch with the Special Session and Workshop Chair, Dr Ilung Pranata (Ilung.Pranata 'at' newcastle.edu.au). For tutorial organisation, please contact the Tutorial Chair, Dr Alex Mendes (Alexandre.Mendes 'at' newcastle.edu.au). General questions should be directed to the conference’s General Chair, Dr Raymond Chiong (Raymond.Chiong 'at' newcastle.edu.au). Prospective authors are invited to submit papers via the easyChair system by clicking here. The preferred length is around 15 pages, but shorter papers of at least 12 pages or longer papers of up to 20 pages are also acceptable. Given the interdisciplinary nature of the conference, the authors are expected to provide sufficient background information in their papers for researchers from other areas to appreciate their work. All submitted papers that fall within the scope of the conference will be peer-reviewed by two or more reviewers from the conference’s international program committee. Accepted papers will be published by Springer in an edited volume and included in major online databases such as Scopus. By submitting papers to the conference, the authors acknowledge that their papers are original and have not been published or submitted to elsewhere for publication. If a paper is accepted, the authors agree that they will take the conference reviewers’ comments into careful consideration and improve their accepted paper accordingly before the final version is submitted. The authors of an accepted paper also agree that at least one of them will register their paper by the conference’s registration deadline and present their paper at the conference. Researchers and students who wish to present their work that is still in progress (i.e., not yet ready for publication) at the conference may submit an abstract via the online submission system. Submitted abstracts will be reviewed by the conference’s program chairs. Approved abstracts will be included in the conference’s program, but not published in the edited volume. Papers accepted for the conference are listed below. Pre-prints of selected papers are available for download by clicking the links below. The AITIC Conference will be held in the film studio of the ICT building, University of Newcastle, Callaghan campus. 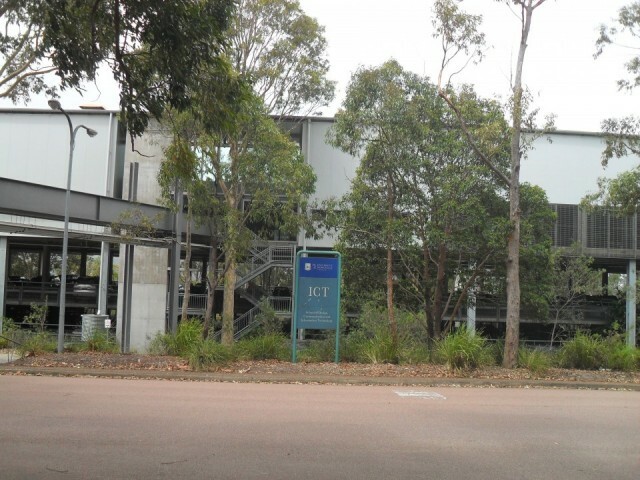 The ICT building is home to the School of Design, Communication and Information Technology. The ICT building is at square B-1 on the campus map. Health systems around the world are straining under the pressure of aging populations, and the early onset of non-communicable disease. The advances in Information Technology (IT), particularly mobile devices and integrated sensor technology, have created a wide range of opportunities for reducing this strain by enabling the development of user-centered mobile Health (mHealth) solutions that can contribute to more effective disease prevention, management, and rehabilitation. The World Health Organisation has defined mHealth as medical and public health practice supported by mobile devices, such as mobile phones, patient monitoring devices, personal digital assistants (PDAs), and other wireless devices. In practice, existing mHealth approaches address for instance risk taking factors in healthy lifestyle behaviour (e.g., smoking, nutrition, physical activity; SNAP), technology-supported treatment, and disease self-management. However, many solutions suffer from poor design and limited knowledge of the Health domain, resulting in low levels of user experience, technology acceptance, and effectiveness. The aim of this track is to bring together researchers from Design, Health and IT in order to provide a platform for discussing innovative approaches in the design of user-centered mHealth applications and concepts for integrating mHealth solutions in clinical practice. Every accepted paper must have its registration fee paid, either as a full paper or a student paper. The first author of a student paper must be a student currently enrolled in a HDR program, and a copy of their valid student ID must be forwarded to the Registration and Finance Chair Dr Kyle Holmes (kyle.holmes@newcastle.edu.au). Notification of paper acceptance is expected to be announced around mid-August, and the registration fee of each accepted paper must be paid by September 5, 2016.